For six years now, I’ve been selecting a theme to carry me into the new year. I’ll get to this year’s theme shortly, but before I do, let’s look back at the crazy, effed-up, wonderfully horrible year we called 2015. 2015 Sucked Hard, But I PLANNED It That Way… Sort Of. The theme for 2015 was Compassionate Determination, which was about creating my own niche, living as myself more consistently, and not wearing so many masks in my life and work. 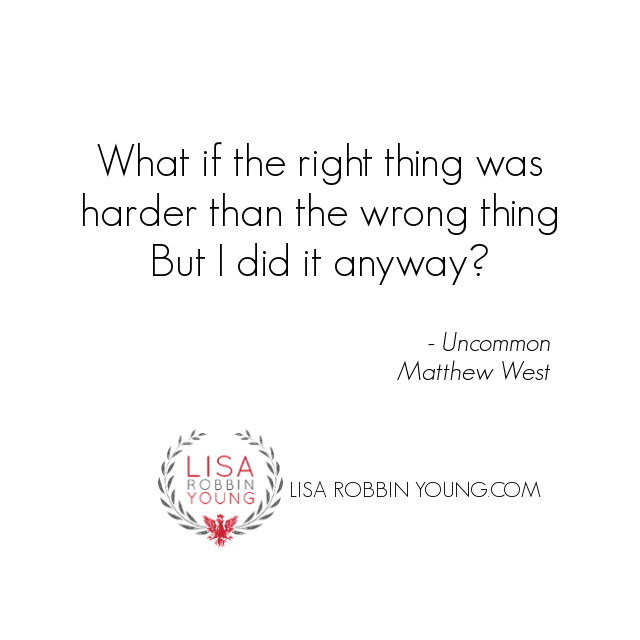 As I mentioned in my previous post, it’s about progress, not perfection, and being consistent met with more challenges than I anticipated. I’ll admit that sometimes I forgot it. 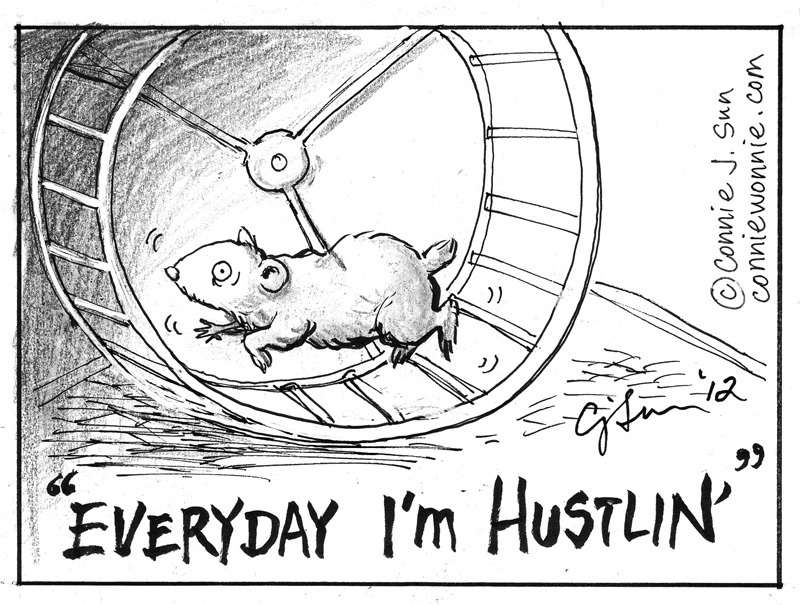 It’s easy to get overwhelmed in the day to day of working and living. I think John Lennon said “life is what happens when you’re busy making other plans” and that was a clear reflection of 2015. So much “life” happened. From a financial perspective, 2015 was awful. My total business income was roughly $3k. Nope, that’s not a typo. I didn’t leave off a zero. Yes, it’s scary to admit that. Three thousand dollars. $3,000. USD. And if I hadn’t planned on it, everything else would have sucked, too. Some would call me “lucky” and say that because I had a husband to “take care of me” I didn’t need to make any money. But that’s not true. My business has to stand on its own – without sucking money out of our family finances. I paid myself for the work I did during the year, and still managed to have one of the most profitable years on record (percentage-wise) in my business because of the strategies I implemented in 2014. Profitability, for me, is not just about the money anymore. It’s about the quality of life. Two things I knew I wanted to accomplish this year: re-focus my brand and get my album, The Fine Line, out into the world. A good portion of my income this year came in during my work on the web series $30 Days to $5k. It might be a spoiler to tell you that I didn’t hit that goal, but the experiment in offering paid entertainment programming was a big success. I filmed a 30 day reality-type series and offered it for about what you’d expect to pay for a season of your favorite TV show. It was one of my biggest-selling offers of the year. People who watched it said they got a lot out of it and it gave them a deeper insight into what really matters to them as well as who I am and how I operate in the world. As for re-focusing my brand, well, that wasn’t as easy as I’d hoped. I began my online coaching journey about 10 years ago, working with direct sellers almost exclusively. In fact, Direct Sales Classroom and its flagship program, Direct Sales 101, still serve clients from all over the world, even though I don’t promote that website much at all. People still find that site via search engines, which speaks to how well it’s positioned in the marketplace, despite my lack of attention through the years. A few years ago, as my audience expanded, I started waffling back and forth, working with all kinds of entrepreneurs. Best selling authors, direct sales leaders, and even people who have chronic health problems have come to me seeking new ways to reach more of their right people using the internet. It made it very difficult to clarify who I help best. As a result, I had clients all over the map, and I couldn’t figure out their common denominator in a way that would allow me to speak to them with confidence and clarity… something I’m pretty good at helping other people do. So, 2015 was the year I dug in and got market clarity. I researched, tested, tweaked, interviewed, listened, and spent countless hours honing in. Some would say I spent too much time listening, and not enough time “shipping”, but I disagree. I debuted the first season of “Creative Freedom”, launched two new training programs, an album, and the aforementioned paid web series. Add to that my music videos with Des, and it was a pretty full year – it just wasn’t focused on making a lot of money. It was focused on testing the market, validating demand, and really listening to what my audience was telling me. So often entrepreneurs, especially creatives, throw so much spaghetti on the wall they don’t have time to see what’s really sticking because they’re too busy cleaning up their mess. Chaotic Creatives want everything to show up a certain way. Linear Creatives want results YESTERDAY, and Fusions want it all. 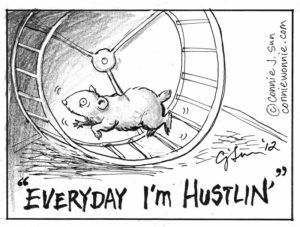 In that pursuit, there’s a lot of rushing, a lot of hurry, a lot of “hustle” that, frankly, can kill you, and I wasn’t having any of that. On the physical fitness front, I learned a lot about what triggers me as an emotional eater. I learned that I have cycles of “bad eating choices” that coincide with school breaks. In short, when the kids are home, I stress out and eat more… or at least, I did, until I figured that out. Now, I’m spending more time in my new office (more on that in a bit), and less in the kitchen – which was the hub of activity in our old house. I’m inching my way down the scale, and I’m buying smaller clothes. All good signs in my book. I also watched “the hustle” nearly ruin four colleagues last year. They all hit major financial milestones, but their health and mental well-being fell apart. One nearly died from a burst appendix because they were “playing through the pain” to complete a project launch. Sure, they hit six figures, but it cost them a lengthy hospital stay in the process. Another pushed so hard to launch her program and hit seven figures (while she was pregnant and due any day), that after it was all over, she spent a week doing nothing but waking up, feeding the baby, and going back to sleep. She admitted to being depressed, unmotivated, and exhausted. 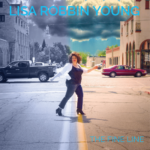 This fabulous woman – who was paralyzed by a shooting in her twenties – is a staple in Jazz music, with over 500 songs in her repertoire, dozens of albums to her credit, and a musical legacy that has inspired people all over the country. She’s been doing what she loves for decades, despite her circumstances, and making a good living doing it. That is what profitable and sustainable looks like. Yes, it’s glamorous to brag about making millions of dollars in less than half a nanosecond, but that’s not the norm. Not for creative entrepreneurs who are in it for the long haul. On the mental fitness front, I challenged myself and read over 25 books this year – and not all of them non fiction! I spent time with Shakespeare’s sonnets and whole lot of Dr. Seuss, alongside helping Lewis Howes and Michael Port launch their new books into the world last fall. In the process, I got inspired to write another book, which is nearing completion. 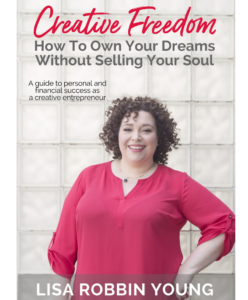 Creative Freedom is a how-to book specifically for Creative Entrepreneurs who want to make good money doing what they love serving an audience that loves them right back. 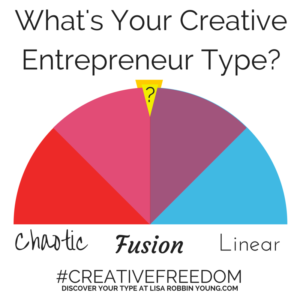 I spent a good part of the year meeting, interviewing, and learning about all kinds of creatives, which led me to develop my Creative Freedom Entrepreneur Type Quiz. Hundreds of people have taken the quiz and it’s been a big help to my research for the book. I also met some really fascinating people (that’s me and Tajci Cameron in the photo), reconnected with some old friends and colleagues, and had some challenging conversations about race, gender, diversity, and inclusion. I was really proud of myself for NOT shying away from those conversations, which I might have done in previous years, just to avoid conflict. Being myself, fully and completely, means being willing to speak my truth, in love, with the people that matter most to me. That wasn’t always easy this year. Which brings me to the hardest subject of the recap. The people that matter most to me. As I mentioned in my last post, 2015 was a long slog at figuring out what really matters. What’s staying, what’s going, and all that jazz. 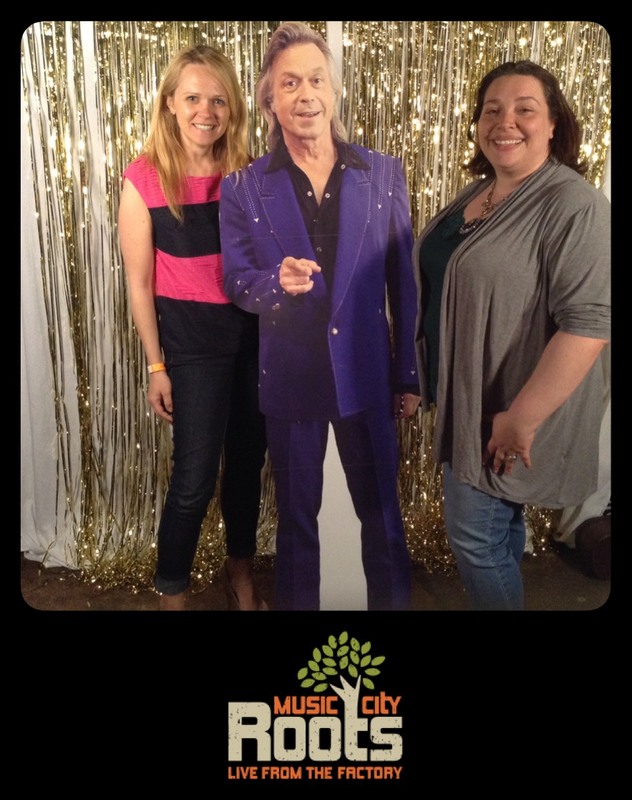 We talked early in the year about relocating to Nashville, but that didn’t happen. Lots of emotional baggage and childhood trauma reared its head. Tempers flared. Things were said. We survived it. The upshot was my need for freedom. To be mobile, agile, and able to travel. I need people. My husband doesn’t. He’s content to live like a hermit. I am not. So we bought a house (which actually saved us a good deal of money every month),and upgraded my car. Then, I asked my husband for a divorce. I don’t say that glibly. There’s no joy in that sentence. It’s taken years to make this decision, and I didn’t make it lightly. I truly love my husband and want nothing but the best for him. Even after 12 years together (10 as a married couple), our wants and needs are still in opposition to one another, and that’s painful for both of us. If one of us is happy, the other is frustrated or feeling anxious, which doesn’t make it easy to be married to each other. I want him to be truly happy, in a meaningful relationship with someone that is in alignment with what he wants and needs. I want that for myself, too. I believe we’ll both have happier, more enjoyable lives if we’re not married to each other. So while I intended to take only a month off for the move last fall, it turned into a season-long hiatus because of depression, fear, and other emotional baggage that I had to work through to come clean in my relationship with my husband. There’s no need for commentary, and we’re still in the early stages of sorting this through. 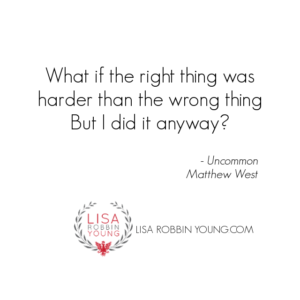 We’re committed to doing this our way as much as possible – focused on doing right by our son, giving him the best possible environment in which to thrive, with no mud-slinging, fighting, or passive-aggressive behavior. We’re still in the same house. We’re still co-parenting, and for now, there are no plans to change that. I’m sure that will evolve as time moves on, but for now, that’s where we’re at and it works for us. The new album is out in the world and has already outperformed my last two albums combined. That was a huge leap of faith for me. I can’t tell you how many people (friends and family alike) told me that it was a bad idea to do an album of pop-infused jazz and blues tunes. Nobody will buy it. Nobody will listen to a jazz version of Paula Abdul’s “Straight Up” or Bon Jovi’s “Bad Medicine” – well, maybe once, but who’s going to listen to it over and over again? Apparently at least three times as many people as bought my last two albums combined. I can start breathing again. I put a lot of time and effort into this album. After spending several years working myself to the middle of 300 songs, and bringing Des on board as a permanent fixture last year, it was time to put the album to bed and get it out into the world. But it didn’t exactly go as planned. All kinds of things tried to thwart our progress. I got sick several times and ended up not being able to record the vocals until after we completed the move. We kept pushing back the launch date until, finally, I bumped it to 2016, just to be sure I could get the project done. After getting sick a few more times during and after the move, I recognized the tell-tale signs of an upper-limit problem. So I focused on extreme self care for the remainder of the year, just so I could finish the album. 2015 gave me exactly what I asked of it, even if it wasn’t what I thought I wanted. I expect 2016 will be more of the same. I just turned 41, and women keep telling me that your 40’s are the best years of your life, So I’m going to try and hold them to it. I’ve got new tools and support options launching this year, and I’m getting closer and closer to the core of ME. My goal this year is to come to terms with my divorce with grace and compassion (for both of us). In the process, I’ve still got work to do: a summer concert tour, a new group coaching program for creative entrepreneurs, and of course, the launch of Creative Freedom – the book and the second season of my web show. Oh, and I’ll be studying acting with Kevin Spacey this Spring, booya! Those are just the tip of what appears to be an exciting iceberg for 2016. Let’s pray we don’t run aground, okay? It’s about stepping up, stepping out, and shining my light for all my world (or at least my right audience) to see. It’s scary, but it’s also pretty freaking awesome. I already have a great story to share (but I’ll save it for the next blog post). 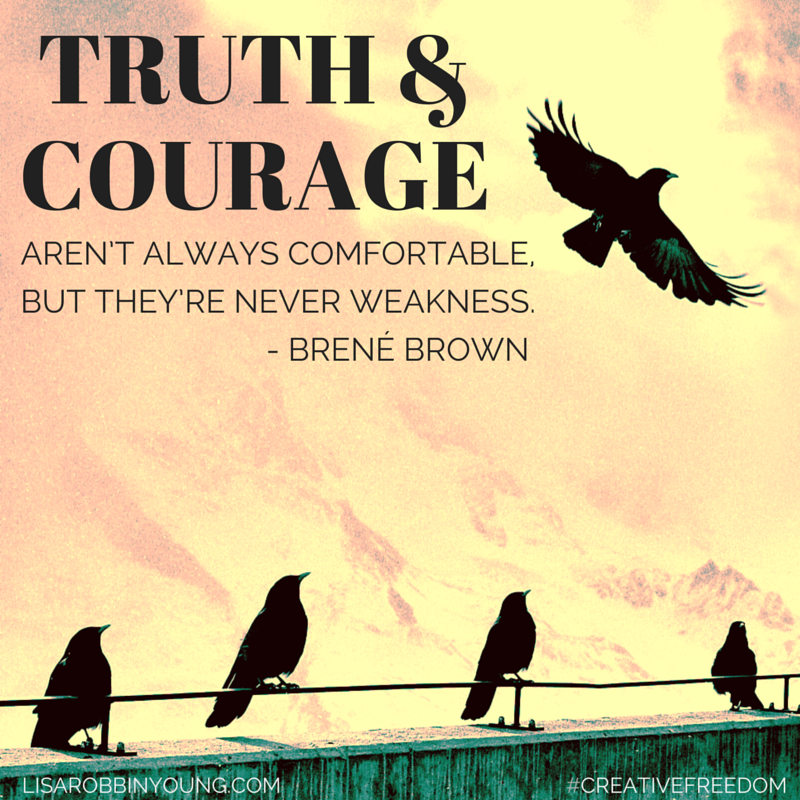 It takes a certain level of clarity, confidence, and courage to show up every day as yourself – warts, sparkles, and all – without letting the world deter you. The good news is, you already know how, because it’s born in you. You were made to be you. And I was made to be me. And that’s exactly what the world needs. Judy Garland said it’s better to be a first rate version of yourself than a second rater version of someone else. That is what I’m up to in 2016. It’s a work I began in earnest last year: peeling off the layers of dust and debris, practicing showing up as me – even if people might find the real me a bit to their disliking. As luck would have it, the more me I shared, the better my friendships became – even if we didn’t always see eye to eye. Relationships got real. People drew nearer, and they didn’t run screaming for the hills as I feared they would. That’s the power of love – loving yourself and putting as much time and energy there as you do any of your other relationships. For decades, I didn’t. I put everyone else before me. I even taught this stuff, for pity’s sake, but we often teach what we most need to learn. Turning and returning to a place of love and loving service (to myself and others), that is what I choose to radiate in 2016. Congratulations on the new album, and I look forward to seeing your book. For me too money isn’t the most important thing in my business, which is probably why it’s growing so slowly. I’m in the process of simplifying now, to make it more sustainable. I can’t say 2015 was a good year in any way. I also went through the stress of having to tell my husband I’m calling it quits. Enough is enough, passive aggressive narcissism is a way too common occurrence. It’s something we need to have a comfortable life, but I’ll take enjoyment and fulfillment over extra cash any day. I understand your decision to cut down on business when you know you’ll have other things demanding your attention and energy. It will take a while before I can actually separate, because I have to pay off some debt to be able to support myself, Lilith and the animals on my own. I’ve seen a lot of people saying 2015 was hard, so maybe it was something “in the air”. Let’s hope for a great 2016.